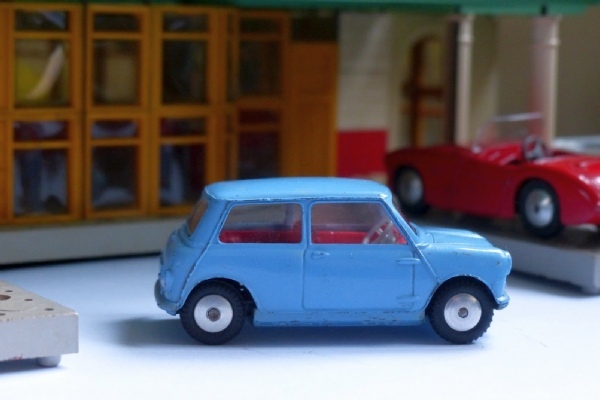 A very nice example of the first edition of this Morris Mini Minor. In blue and with red interior with fixed flat wheels, this looks fabulous. The paintwork is nearly immaculate, with just some flaw on the roof and one or two marks on raised edges. It is still one of the best around, other than an unused example kept in a box. The screens are clean and clear and suspension, tyres all good. It has the earlier base with holes.